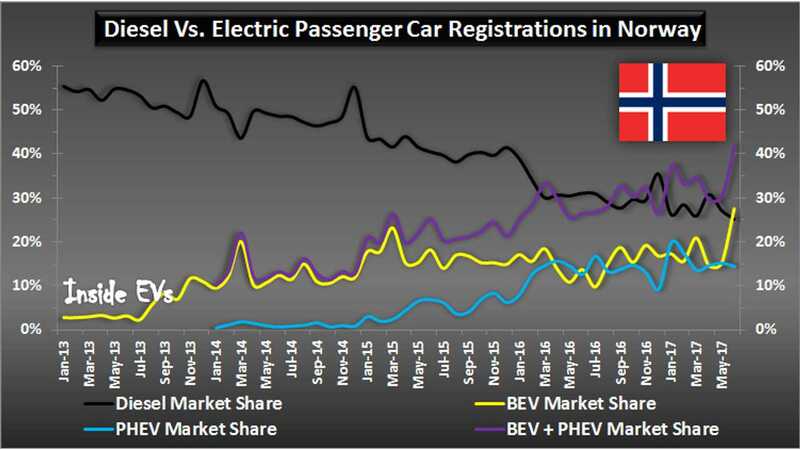 All hail the all-electric car, as BEVs take over the Norwegian market in June. 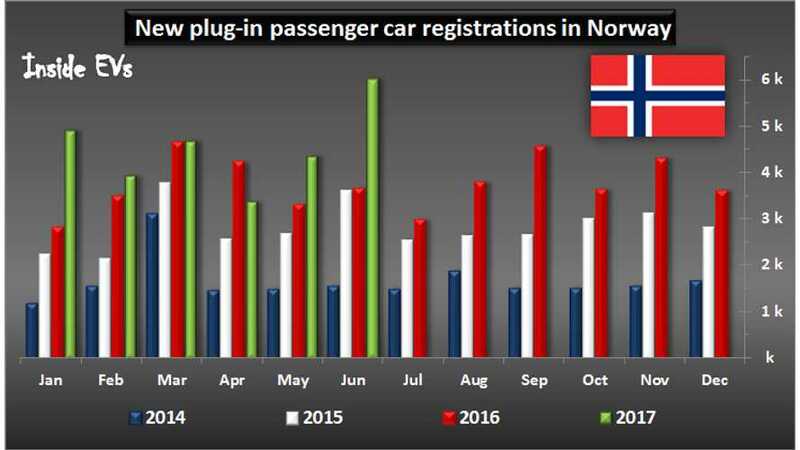 Norway once again has raised the bar for plug-in car sales, setting several new all-time records last month. 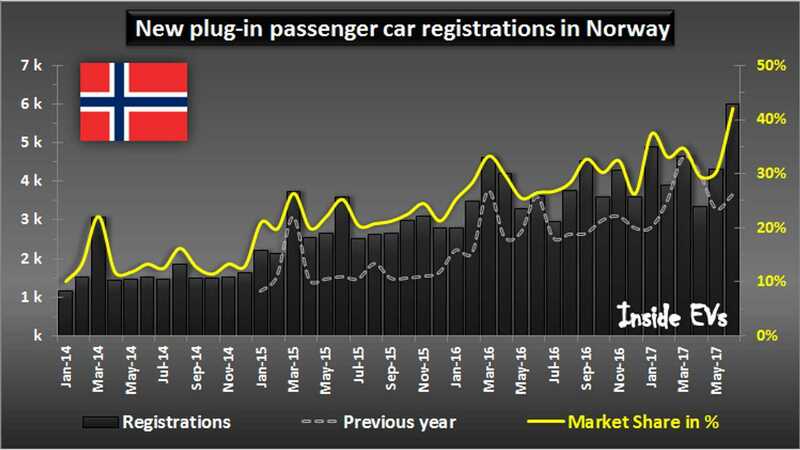 Amazingly, new passenger BEVs (all-electrics) and PHEVs (plug-in hybrids) registrations combined to account for a whopping 42.2% of the market! In total, 6,011 new BEVs, PHEVs (and a few FCVs) were registered last month (up some 65%). 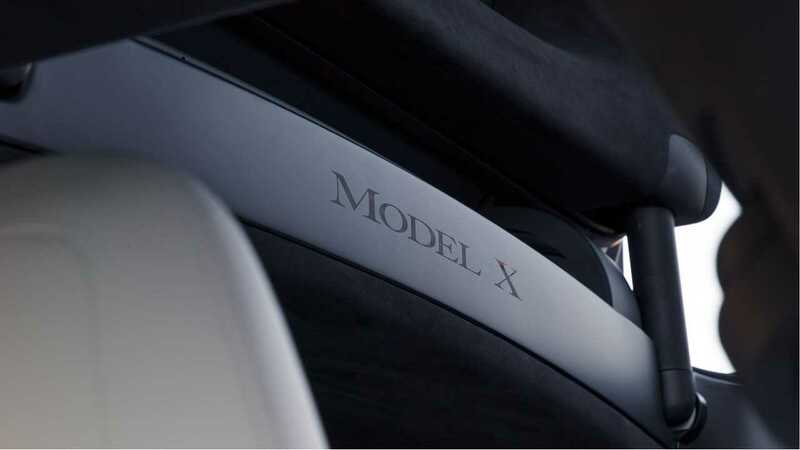 The driving force behind the new record was doubling of sales for the all-electric vehicles over a year ago - thanks mostly to the updated VW e-Golf, Tesla Model X and also the new Renault ZOE and Ampera-E.
Additionally, another new type of record was set in June in Norway, the electrified car market share was higher than conventional diesel cars and conventional gasoline cars combined. Put another way, plug-ins paired with conventional hybrids took a 52.7% market share in June.